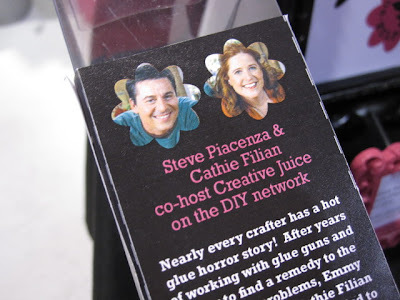 Cathie Filian: Hot Glue Gun Helpers launching at CHA!! 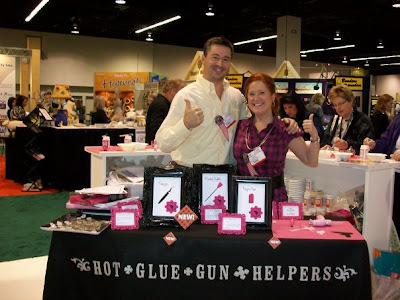 Hot Glue Gun Helpers launching at CHA!! We are so excited!! The response has been so over whelming and thrilling. Most of the major retailers are going gaga for them! I might need to pinch myself. Learn more about our tools here! WOW I need those!!! I wish I could have gone to CHA but there was no budget for a plane ticket. Oh well maybe next year. At least I won't have to pay for a hotel since I have family there! Thanks everyone! We are really thrilled that everyone loved them. I'll be updating the progress here on my blog! Put me on the list for when they debut! ...Send it this way, please! Saw you at CCE in Seattle. Been looking for HGGH...but haven't been able to find them! I want to purchase a few of these for Christmas presents. Hope you post what stores or where on line in time for Christmas purchases. What a GREAT idea!!! I needed a way to store my new glue gun helpers so I used a empty pringles can. Went to plaid.com and downloaded and printed a copy of the flyer. I taped it to the outside of the can. Put all my tools in a glad zip lock bag and placed them inside the can. Now they are safely stored. 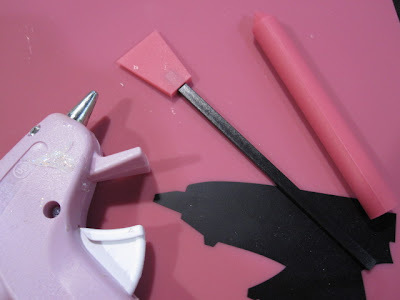 I won't lose my finger grips or any of my neat tools. SS Puppets! What a great Idea - I must blog that.